The first day of parliamentary elections witnessed a number of violations that were documented by different observation missions. 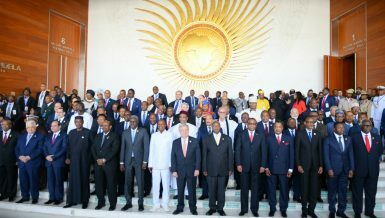 The international observation mission from the Maat foundation said voter turnout on the first day was low, ranging between 11%-13%. The most prominent violations included those committed by individual candidates, and the delayed opening of a number of polling stations. 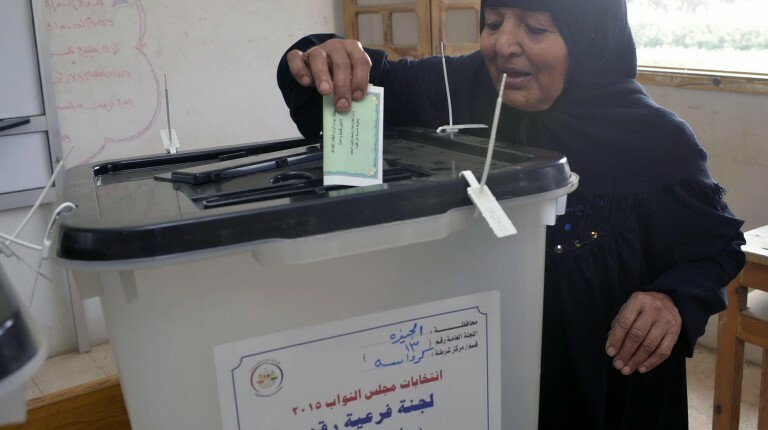 The participation of women and the elderly was higher in most governorates, in comparison to the declining rate of participation by the youth. Maat also stated that security procedures were effective throughout the day, with public officials displaying “neutrality” in most cases. Explosive devices were detected near a number of polling stations and were successfully neutralised by security forces. 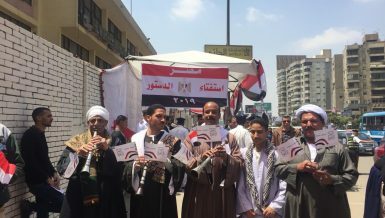 Meanwhile, the Egyptian Coalition for Human Rights and Development (ECHRD) reported a noticeably high turnout by mid-Sunday in an electoral district in the Sohag governorate. This is due to the presence of a former National Democratic Party (NDP) leader, who was running as a candidate for the district. 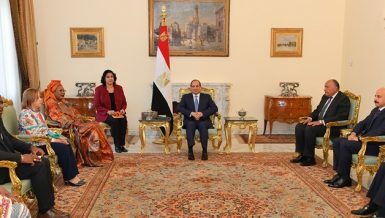 The Egyptian Center for Women’s Rights (ECWR) also documented several violations on Sunday. Violations included the mobilisation of voters, attempts to influence voters’ choices, the continuation of electoral campaigning, vote-buying, the exploitation of children for campaigning purposes and the closure of some polling stations before time. 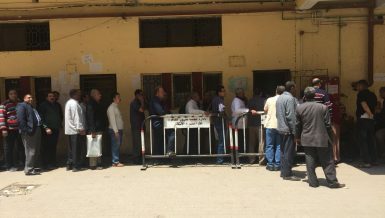 In the Giza governorate, the Bulaq polling station witnessed no female voters and was closed by the judge ahead of the set time. The governorate also saw attempts to lobby voters in the Imbaba constituency, while Badrashin witnessed attempts at electoral campaigning. 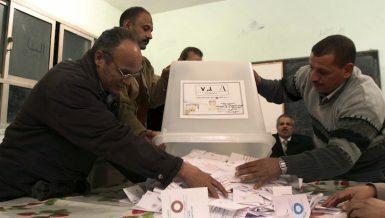 Similar violations occurred in the other governorates, with Alexandria, Assiut and Marsa Matruh witnessing vote-buying. Rates ranged from EGP 50-EGP 200, fluctuating throughout day. The ECWR also documented administrative errors taking place in the New Valley governorate. The National Council for Human Rights (NCHR) received 108 complaints as the first day of elections came to an end; with 84 of those complaints having been transferred to the Supreme Electoral Commission (SEC). The complaints included the delayed opening of some polling stations, the continuation of electoral campaigning and attempts to influence voters. Two complaints were filed concerning vote-buying in the Giza and Alexandria governorates. Some complaints were filed concerning the lack of support for the disabled in some polling stations in Giza, Fayoum and Sohag. 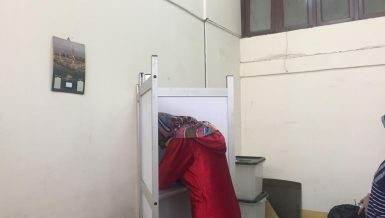 Some forms of violence were reported, including clashes between supporters of different candidates, and a drive-by shooting at a polling station in Al-‘Ayat in Giza. However, the interior ministry stated that the shooting incident in Al-‘Ayat is unrelated to the electoral process and was due to a dispute involving a tuk-tuk owner. The fugitives were identified by security forces and are currently being pursued, MENA reported. According to the health ministry, there was one death and 11 injuries on the first day of voting.